Waveform capnography measures the partial pressure of carbon dioxide (CO2) detected at the end of exhalation. Known as end-tidal CO2, or EtCO2, this value provides important information about the health of patients—especially those in respiratory distress, cardiac arrest, or shock. This measurement is displayed as a waveform that shows the respiratory rate and how much CO2 is present during each stage of respiration. Normal EtCO2 levels are 35 to 45 mm Hg, and the waveform generally has a rectangular shape. As the respiratory rate and tidal volume change, the waveform changes as well. 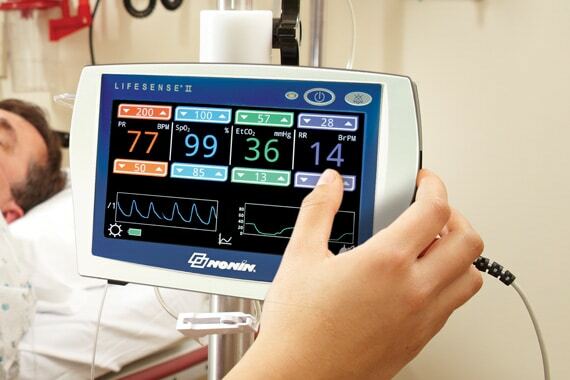 All feature proven Nonin sidestream capnography technology for use in acute care, sleep study, post-operative care, and homecare applications. Nonin capnographs are used in procedural sedation, pain management, CPR, sedation dentistry, and homecare. The RespSense Capnograph delivers fast, first-breath detection of respiratory rate and end-tidal CO2 (EtCO2). 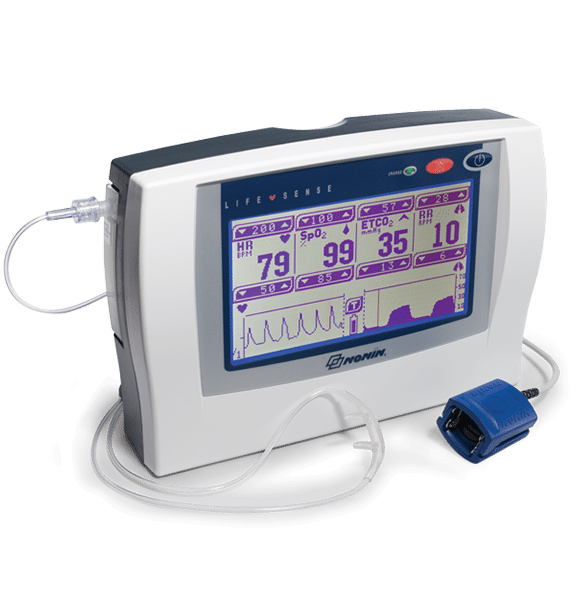 This easy-to-use capnography monitor features a unique moisture management system and a highly visible display. The RespSense can be mounted easily on a pole or bed rail, and is compatible with standard tubing, making it cost effective to purchase and operate. 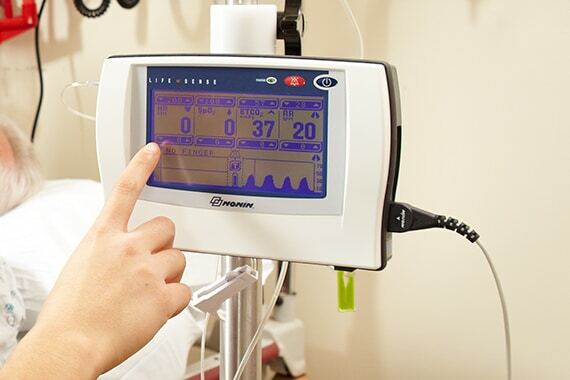 Featuring Nonin sidestream EtCO2 technology and PureSAT® SpO2 technology, this single system provides immediate data on patient pulse rate, blood oxygen levels, and end-tidal carbon dioxide. LifeSense-compatible Nonin PureLight® reusable and disposable pulse oximetry sensors are available for patients from infant to adult. * RespSense II and LifeSense II carry the CE mark; RespSense and LifeSense do not.